Customizing Divi social icons with the Social Icons EZ-Builder is part of a series of tutorials on customizing Divi with child themes created by the Divi Children plugin. Child themes created by Divi Children 3 allow you not only to easily customize your Divi social icons and to add new ones, but now you can even arrange them as you like thanks to the new Social Icons EZ-Builder. But that´s all. You can´t add new social icons easily, you can´t decide were to open the links (in the same browser tab or in a new one), you can´t modify the order in which the icons are displayed. When it comes to styling the social icons, you can do it separately for the footer and the header. The appropriate Customizer settings are found in Footer > Bottom Bar for the footer social icons and under Header & Navigation > Secondary Menu Bar for the header icons. But the default Divi social icons style customization is limited to icon size and color (with the same color for all icons). Hover color can´t be set, for instance, nor the spacing between icons. Secondly, you´ll not only be able to add and remove social icons, but even to change their order very easily. The Social Icons EZ-Builder will allow you to arrange your social icons as you like. In the third place, for every social icon a separate control with a checkbox is provided to open the link in a new browser tab. Those are features brought by the Social Icons EZ-Builder. But further customization for your social icons is also possible thanks to the controls in the new Header Social Icons Styles and Footer Social Icons Styles sections that you will find available in the Customizer for your child theme. They will allow you to customize the hover color or the spacing between icons, and also to use the original brand colors from each network. First of all, you should have your CSS output set to “Development Mode” in the Output Mode section of the Customizer, so you can preview your changes. If you have never set it yet to “Production Mode” then you´re all set and you don´t have to do anything about it, because Development Mode is the default mode in your child theme. Otherwise, make sure your child theme output mode is set to Development Mode and hit the Save & Publish button of the Customizer before you continue customizing your child theme. The default elements you will find in the Social Icons EZ-Builder the first time you open it are precisely the four Divi default social icons: Facebook, Twitter, Google+ and RSS icons, in that order. That is supposing you had them all enabled in Divi Theme Options, because your child theme grabs the default options and data from there. If you only had Facebook and Twitter enabled in Divi Theme Options, for example, the first time you open the Social Icons EZ-Builder you will find just those two elements on it. Now that you´ve created and arranged your Divi social icons, you can give them a bit more spice by means of the new styling sections available in the Customizer. I´ll show you how they work for the footer social icons (using the controls available in the Footer Social Icons Styles section), but the same applies to the header social icons (by means of the Header Social Icons Styles section in that case). For consistency with the color scheme, when you select this option the color displayed on hover for each social icon will be a darker shade of its original branding color. So now, with the flexibility of the Social Icons EZ-Builder plus the style settings available for social icons, together with some other settings available for the placement of social icons in the Footer Bottom and Top Header sections of the Customizer, customizing your Divi social icons just got easier and more effective than ever. Top quality work you have here! Luis, excellent work. I’m using it right now for a new client website. And i’m very impressed about the options. Would it be possible to add more social icons? I’m looking for Xing. It’s very common in germany and all my clients want this icon. I do it manually right now. Thank you for this great peace of work!!! Hi, Alvaro, and thank you for your kind words. Of course, I´ll eventually add more social networks in future updates. 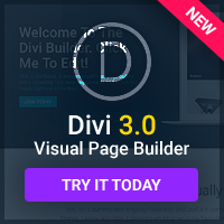 For simplicity, in this release I´ve only included those icons that come with the Divi default icon set. It´s free. 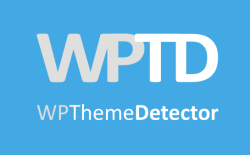 It´s available in any child theme created by the free Divi Children plugin. How do I now use my child theme on a new project?